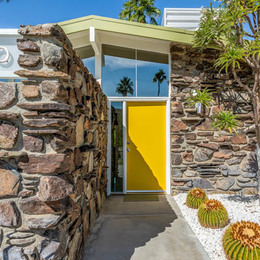 Looking for a winter getaway? 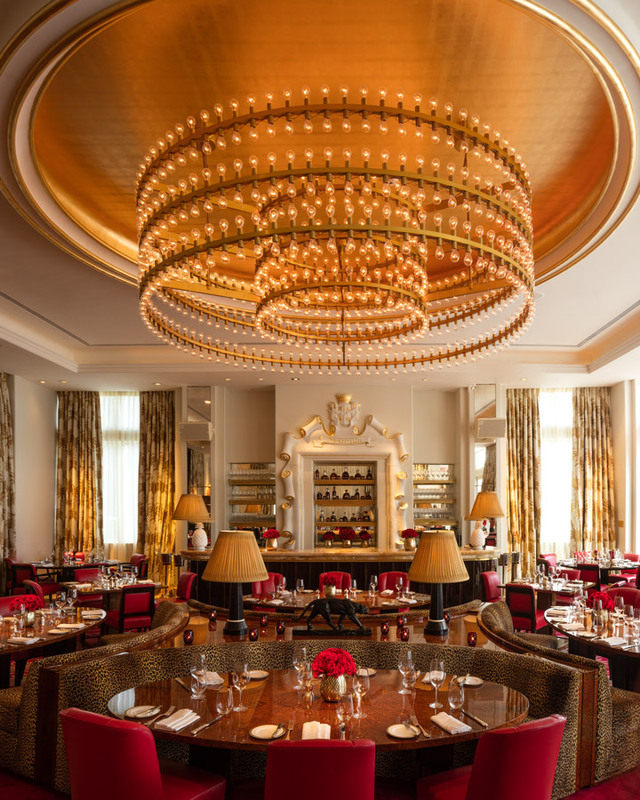 The Faena Hotel Miami Beach, dreamed up by Argentinian developer Alan Faena and designed with the assistance of Oscar-nominated director Baz Luhrmann, ushers in a new era of luxury for visitors to Miami Beach. 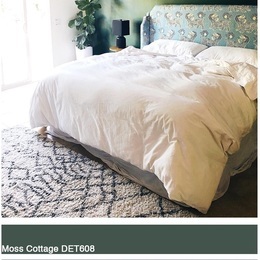 The 169-room luxury hotel is a visual delight with bold colors, ornate fabrics and luminous metallic finishes. The first building to be completed in the new Faena District — a $1 billion project that spans five formerly drive-by blocks of Collins Avenue in Miami Beach — the Faena Hotel is designed to be an experience, with visuals whose guiding principle was to bring back the glamour of Miami Beach of the 1950s. 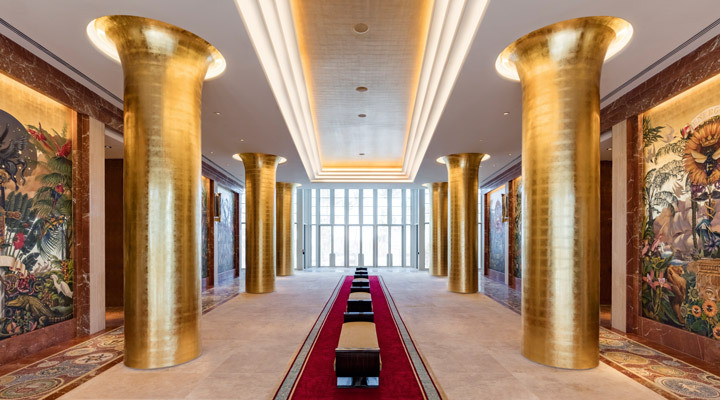 When guests enter the hotel, they do so not through a traditional lobby, but rather a “Cathedral” lined with gold-leaf columns and adorned with vivid floor-to-ceiling murals twinged with gold-leaf from Argentinian painter Juan Gatti. 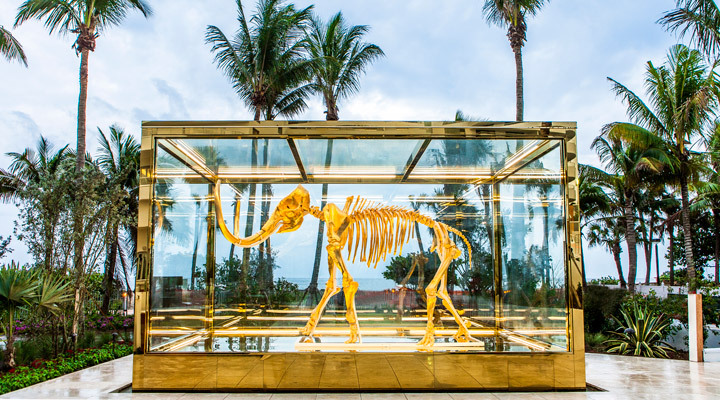 Towards the back, doors open to the garden where Hirst’s gilded 24-karat wooly mammoth skeleton sculpture stands nearly 10-feet tall, encased in four layers of hurricane-proof glass. Past the sculpture is an Art Deco-inspired pool deck. 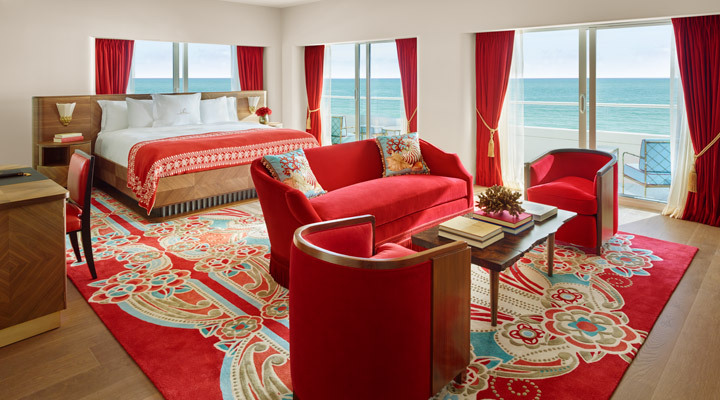 The richly decorated guest rooms are dominated by two colors — the signature Faena red and teal blue. 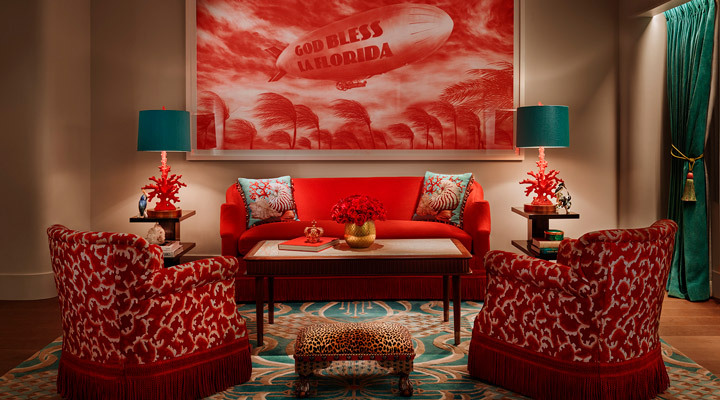 Alan Faena conceived the look of the guest rooms, but the Art Deco drama was heightened by film director Baz Luhrmann and his wife, costume designer Catherine Martin. 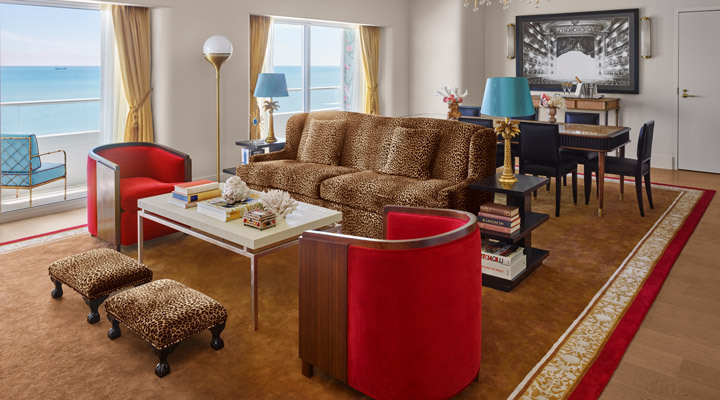 Animal-print ottomans, lamps fashioned out of coral, seashell-encrusted jewelry boxes and yards of Faena red velvet are just some of the fantastical touches displayed in the rooms. Also, all of the Faena guest rooms, 111 of which are suites, have dedicated butler service. 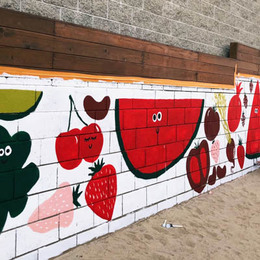 There are two restaurants located in the hotel featuring beautiful artwork and extensive menus. Located just beyond the Cathedral sets Los Fuegos, from Argentinian chef Francis Mallman, highlighting a chandelier sculpture by Alberto Garutti made with 792 light bulbs that will flash every time lightning strikes the pampas lowlands in Argentina. Pao, a modern Asian restaurant from chef Paul Qui, sets in a dome-shaped room above the Cathedral and is anchored by another Hirst sculpture — a golden unicorn. 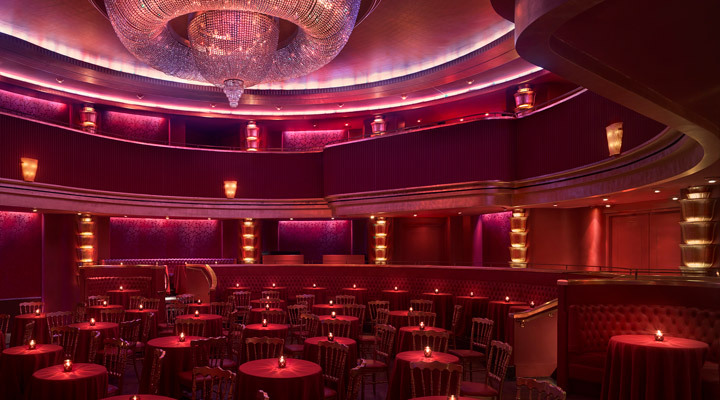 Inspired by Europe’s grand opera houses and the glittering allure of Old Hollywood, the 150-seat Saxony Theater, located below the hotel, will host a regular Paris-style cabaret show. The theater also has its own private Art Deco–styled bar called El Secreto, but only guests who reserve the theater's private box have access. 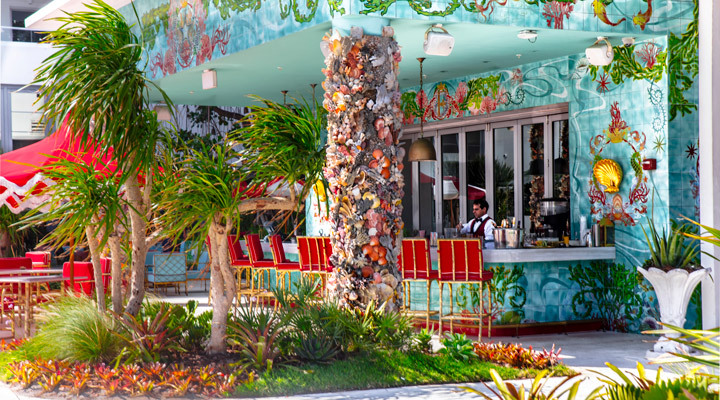 The Faena Hotel is the perfect convergence of architecture, art, fashion, music, theater, film and cuisine, and should be on any Miami visitor’s must-see list. 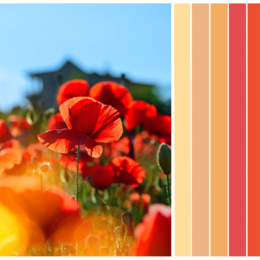 For more information, visit faena.com.